What do these words mean and how are they relevant? I mean come on; a PUP sounds adorable! Well, puppies are pretty adorable, but PUPs are less so. One will damage your carpet and furnishings, the other will slow down and compromise your computer. “PUP” is an acronym for “Potentially Unwanted Program” and they are littered over the Internet along with their nasty compatriots, Spyware and Malware. Recently, I came across these articles on Ars Technica (great technology news website) and it reminded me of the kinds of things we deal with constantly at the shop. After seeing Myhrvold’s documentation with being an average internet user (who then monitors what each thing does to his computer) I sort of wanted to touch base on the kinds of things he mentions. Firstly, what are Spyware, Malware and Potentially-Unwanted Programs? All three of these are descriptors for programs that may have been installed to your computer without your permission (or a lack of attention). Malware is Malicious Software, Spyware is Spying Software and PUPs are Potentially Unwanted Programs. Most authors of these programs try to bundle them together with legitimate sounding downloads and webpages that prey on the unaware. Some names to look for: “DomaIQ”, “InstallerIQ”, anything Toolbar (that you didn’t choose to install. Personally, we don’t like any toolbars as they all hog resources, but you may want a certain one. ), “DefaultTab”, “PC Optimizer Pro”, “myWebSearch”, “Conduit”, “EXETender”, “My PC Backup”, “24×7 Help”, “Yontoo”, “WebCake”, “Wajam”, “BrowserDefender”, “iLivid” – just to name a few. These are all Spyware/Malware that offer one service (sometimes) and otherwise do more bad than good. When visiting your favorite websites you may see flashy advertisements on the sidebar, or throughout the article you’re reading, or pretty much anywhere on the website. Sometimes they say things like “Free iPod(/iPad/iPhone/MacBook etc)!” or “Congratulations, you’ve won! You’re the 1,000,000th viewer!” Chances are, these are fake and look real and appealing so that you click on them. When you click on them they will probably divert you to a different webpage and ask you for personal information (most often your email address for starters). A lot of these vicious programs come from illegitimate websites as well. As highlighted in Myhrvold’s article above, his goal was to set out on a search engine and search for things along the lines of “free (wallpapers, e-cards, music, games)”. There are a heck of a lot of fake “landing pages” where if you search for “free something” you’ll end up on them. It can be confusing because there will be a lot of differently sized “Download” and “Start Download” and “Begin” buttons all over the place – with absolutely zero of them offering you what you wanted in the first place. Some of these programs that are installed via this process are very hard to get rid of completely, and the more there are, the more your computer slows down day-to-day as it spends more of its power processing all of the useless garbage running in the background. Additionally some of these worse programs, usually called Trojans, will act as gateways for even more junk to be downloaded. They can even be used to pump harder programs in, like full-blown viruses. There’s an old adage that’s along the lines of; “If something is too good to be true, it likely is.” And this is no less the truth even on the Internet. Unless you know exactly what you’re doing, looking up free things and clicking the free offers that advertisements have will do you and your computer more harm than good. Employees have access to two or more devices in the workplace, creating a ‘bring your own device’ (BYOD) landscape that makes it imperative for businesses to examine the cross-use of personal and business devices in the office, a recent study conducted by Apperian confirms. There was a time when employers were more likely to supply a work laptop or tablet with the understanding employees don’t use them for personal reasons, and that they keep work off of their personal computers and devices. That’s a policy that’s becoming tough to enforce, given that today’s young office workers are essentially surgically attached to their devices. Smartphones and tablets are no longer distractions so much as appendages; units that help workers to navigate and better understand the world around them. Be that as it may, BYOD can make management a nightmare. Cross-compatibility. When everyone is on a different brand of phone, it’s hard to get everybody on the same page. Some apps aren’t even available for every version of the same Android phone, let alone Droid, iPhone or BlackBerry. Security. When everyone is taking their own devices back and forth from home to work, security can become a major concern. In the days of company-provided laptops and tablets, this wasn’t such a big deal, as you could be fairly certain your employees would use their work devices for work purposes only. Now, you can’t be so sure. Licenses. When everyone is on a Windows laptop, everyone can use the office’s license for Microsoft Word. When one person is on Windows, one is on iOS, and one is on a homebrew OS, you’re generally going to have to buy everyone their own individual license for each program, which can be expensive for a small business. Mobility Management is exactly what it sounds like: a system that allows you to manage your enterprise when it comes to mobile employees. Most phones have apps that allow you to manage employees on the same phones, to share files and apps and so on, but few phones allow you to manage an office network that includes multiple phone manufacturers and operating systems. An exception to that rule can be found in the BlackBerry 10’s Enterprise Mobility Management system, which allows users to access and connect with iOS devices, as well as those equipped with BlackBerry, and Android. The experience for users of Enterprise Mobility mobile phones is pretty seamless, as you can secure, deploy, manage, remotely control and collaborate with the three big smartphone operating systems. The idea here is to offer flexibility and accessibility, and, in the area of recruiting, an edge over the competition. It may seem funny that something like this could be a deal breaker, but for many talented young techies, “Can I use my own phone?” can make the difference between doing a good job and a great one. What are your thoughts on Mobility Management? Share them in the comments. 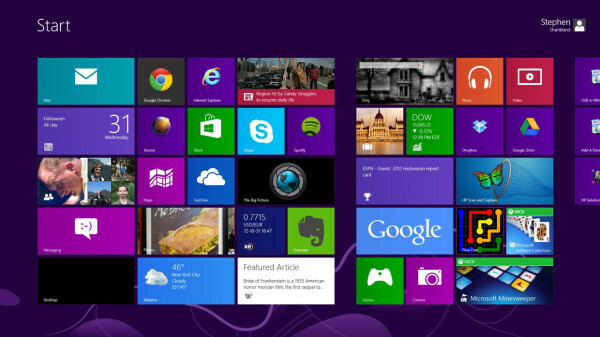 Windows 8 – How and what is it? Windows 8 is the newest operating system from Microsoft, the successor to Windows 7. It provides a few new things and while keeping some features the same – it generally could be said that Windows 8 is a completely new system. Firstly, why is it new? Windows 8 offers a fresh experience built from the success that was Windows 7 – Seven was wildly popular and some even viewed it as the spiritual successor to Windows XP rather than Vista. The desktop environment is still present – like other Windows systems and strongly represents the Windows 7 desktop. 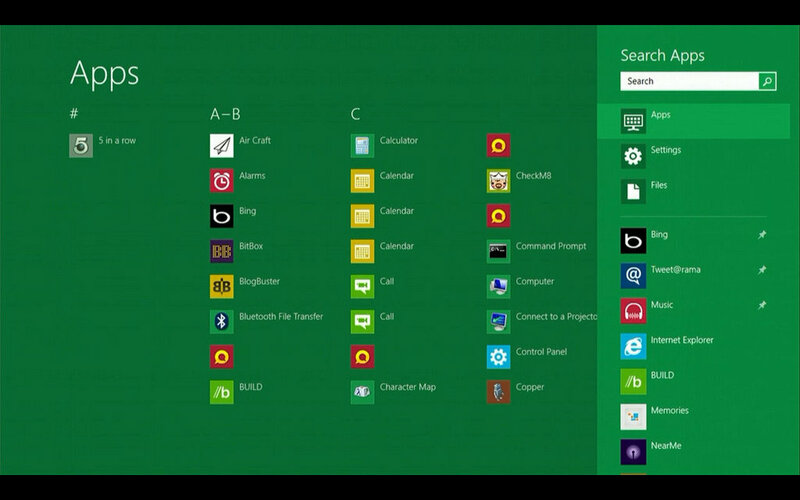 However, this is hidden by the new “Metro Experience” introduced in Windows 8. “Metro” is what stands out tall and first in the long line of new features and what you’ll be presented with right away when you start up a machine with Windows 8. It’s a streamlined environment where “Apps” will be presented to you in squares and rectangles all put together nice and squarely. 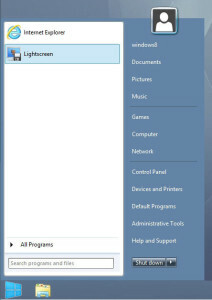 This is a great addition – for mobile computers using Windows 8. Communities around the Internet have been frustrated with how much Windows 8 is designed for mobiles and forcefully using this setup on all installations, including desktops where it is much less useful. Metro goes great on a tablet, or phone or even touch-screen laptop, though as it’s much like a home screen on an Android or Apple device. 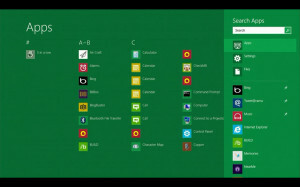 Aside from Metro, Windows 8 also offers some new features and re-tooled others. Something that long-time users of Windows may notice immediately is that once you discover how to get to the desktop (Windows Key + D or find the “Desktop” Metro tile) you will see a lack of any discernible and trademark “Start Button” or “Start Menu”. For some reason, Microsoft decided this was not a good inclusion – leaving many long-time users wondering how to navigate their desktop. A lot of customers and people who ended up with Windows 8 on their new computers seem to be lost without something that has been so paramount in previous systems from Microsoft. There are several solutions to this problem, and the one that has been found by us to be the most helpful is “Start Menu 8” by “IOBit”. It’s fairly customizable and can be very much like the old Windows 7 menu. There are other alternatives for those searching for this solutions though, so do a little googling for what will suit you the best. IOBit’s Start Menu 8 is a welcome sight. Windows 8 has included some old features in new ways, for example file searching was arguably one of the most powerful features behind Vista and more-so in Windows 7. Since the Start Menu is gone, where did this feature go? From your W8 desktop, hit Windows Key + F, and this will bring up a new menu on the right side of your screen, where you can search for an App, a Setting or a File all in one. If you have Windows 7 already, should you upgrade to Windows 8? It’s a hard decision to say yes or no, and you’ll have to think about if you want to re-learn things you already know to more familiarize yourself for the modern, hybrid PC and Mobile system. Is it more powerful? We’ve only seen a couple computers in shop with it so far, and it seems to operate cleanly minus all of the struggles of misplaced features. You may like it, but you also may not – the best suggestion would most certainly be: “Try Before You Buy”. proxyMore than 600 data breaches occurred in the U.S. last year, as well as nearly 50,000 reported security incidents, according to an annual Verizon report. A large portion of those breaches were accomplished on mobile devices, and with public Wi-Fi everywhere you turn, a VPN could make or break your data security. While free public Wi-Fi services are popular, there are risks associated with the convenience. Mobile employees open the door for unscrupulous data thieves when they fail to use common sense before signing onto email and financial websites on the road with company equipment. Employees who assume the strongest Internet connection from McDonald’s network in the parking lot make it easier for scammers who could be lurking nearby with a similar network name. Bolt Insurance executives found many employees fail to log into encrypted, secure https websites because they simply forgot to confirm the address before signing in. Bolt suggests using Virtual Private Network software for all employees who work on the road. A VPN is simply a network of computers joined together across multiple locations to add security and privacy via authentication hardware and software. Access to the network is allowed with unique passwords or PIN identifiers. Internet Service Providers, http://www.internetserviceproviders.com, touts the ease and flexibility of VPNs for business owners. Security and privacy are the most practical benefits for business owners. Both privacy and security protocol should be carefully examined before signing up for a free service. Some no-charge VPN providers log all activity, and most users are subjected to contextual ads based on past activity online. Businesses that want to take a trial run with a free service should remember all data is available to the host provider. Choose websites to visit with caution during the trial period. Some experts suggest only using free services offered by well-established providers to avoid a fly-by-night scam artist. Paid services vary widely among providers. Prices vary based on features, storage space and the number of exit points. Depending on the nature of the business, monthly rates are as low as $5 per month and can go up to several hundred dollars per year. Even with paid services, it is important to look for secure connections, i.e. SSL or IPsec, when selecting a provider. Free services usually have fewer exit points. An exit proxy, or location, is a connection setting that allows you to “appear” in another network or country, thus adding a layer of anonymity and security. As a general rule, the higher the number of exit options available from your VPN, the more discreet your activities are online. Beyond the number of available locations, it is important to find a VPN provider that offers exit proxies that fit business needs. If a service provider offers 18 exit points, but doesn’t offer an exit in Panama, and the business wants to connect with other computers in Panama to capture live television broadcasts or connect with remote employees securely, the service won’t provide the most beneficial features — regardless of the price. Choosing a provider that offers a variety of exit points that fit company networking goals is essential to finding a best fit. What recommendations do you have regarding VPN? Share them in the comments.